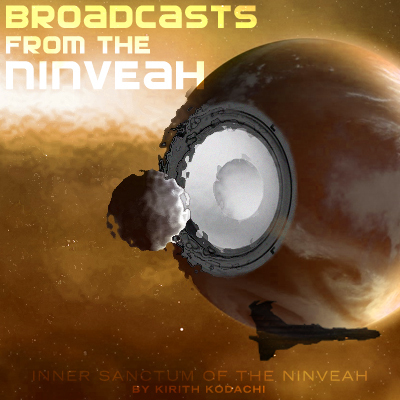 This is the last interlude piece before I start series 3 and get back to Kirith Kodachi and his journey from person to podpilot. Enjoy! Last chapter we talked about the existence of these mini-empires (Sanshas, Guristas, Blood Raiders, Serpentis, and Angel Cartel) outside of the control of the five major factions (Amarr, Caldari, Gallente, Jove, and Minmatar) and, more importantly, not signatories of the Yulai conventions. In future chapters we'll discuss how they manage to avoid assimilation despite being much smaller in terms of both population and military extent, for now we'll discuss how they are organized in their levels of command. In general, despite vast differences in culture and philosophy, all five of the "pirate" factions organize their extended fleets much the same way. What we call "the core" of the faction are those pilots and fleets with their hands on the levers of power and a say in the future of the faction. Another way of thinking of it is that these are the true citizens of the faction. They tend to stay close to the home colonies, have hulls and equipment far superior to even the navies of the major empires, and are relatively few in number. When CONCORD databases recognize the signature of the ship or the pilot's broadcast name, they return a qualifier so that interlopers can determine that the ship facing them is of a higher class of danger. For example, Guristas ships of the core are designated with the qualifier "Dread" in the CONCORD database. Serpentis Corporation ships flown by the core are called "Shadow". 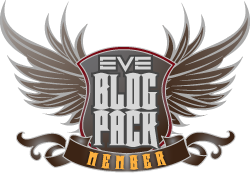 The number of "core" pilots and ships is very low, smaller than even some of the larger capsuleer alliances. The reason the capsuleers have not overwhelmed the renegade factions is due to the next two classes. The members of a faction are those that guard the borders and provide the basic tactical leadership to the masses of the pirate fleets while the Core provides the overall direction. Again the CONCORD database qill return a qualifier when the sensor telemetry picks up the appropriate cues. In our example, the Guristas member ships are designated as "Dire" and the Serpentis known as "Guardian". The quality of their ships are not as advanced as the core but are still impressive, matching typical naval hulls in performance and endurance. Their numbers are much high, approximately 10 member ships for every core ship, thus bulking out the factions considerably. 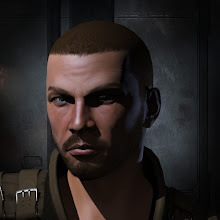 Pilots and crews of this class can work towards promotion to the inner core and access to more power and resources, thus they tend to work tirelessly for the faction and have been known to be extremely competitive with their own fleet mates. The final class we identify is referred to as the transient class. The CONCORD database does not have a single designation for these ships as they are so many, but instead breaks them into five designations based on ship hull size. The quality of these crews and ships/equipment varies greatly, with some being nearly equivalent to naval vessels of comparable tonnage and some being "buckets of bolts" with crews made up of "planetsiders, slackards, and criminals". These ships can be found in fleets spread all over the area of operations of the faction and often even farther beyond, sometimes led by officers from the "member" or "core" classes, but often led by whatever charismatic person is nearby. The numbers of "transients" varies but is estimated at 10-20 times that of the member class, depending on the faction and recent events. The reason we call them transient is because, for the most part, they treat the faction as a flag of convenience, flying it for access to whatever resources they can leverage to their advantage. For example, many of these ships cannot get licensed through CONCORD so they join the nearest pirate faction to gain protection from the local police who are often bribed to leave the local pirates alone (more in chapter 3). Also, they gain access to the secret outposts and smuggler's gates to bypass any imperial interference. For the most intrepid, they have the option of trying to make it in space outside of the empires, especially if they have some success at piracy and are starting to gain notice of the local authorities beyond what bribes can deflect. The crews of this class are not always pure pirates. In fact, a majority attempt to make a living by mining asteroid belts beneath the notice of local governments and only resort to piracy as a last resort or when opportunity presents itself. The upper levels of this class often eschew mining, however, and work hard at raising themselves into the member class and all the privileges thus implied.